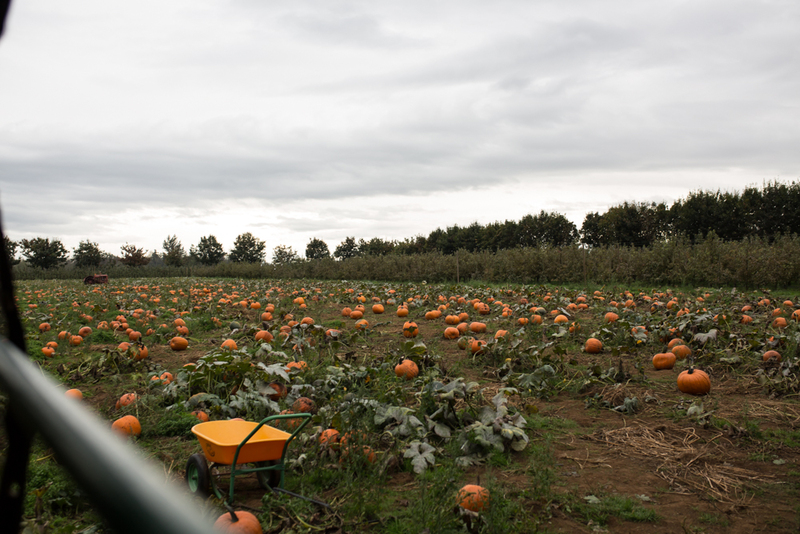 One of our favorite things to do in the fall season is to check out local pumpkin patches. 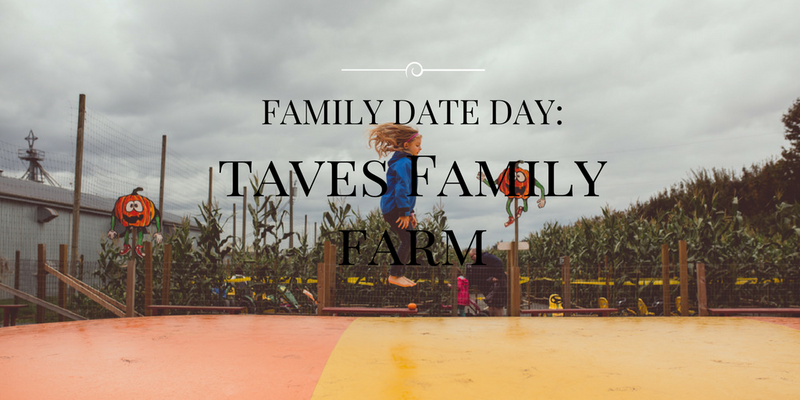 We have visited almost all of the local farms but one stands out to us the most, Taves Family Farms or other wise known as The Apple Barn. 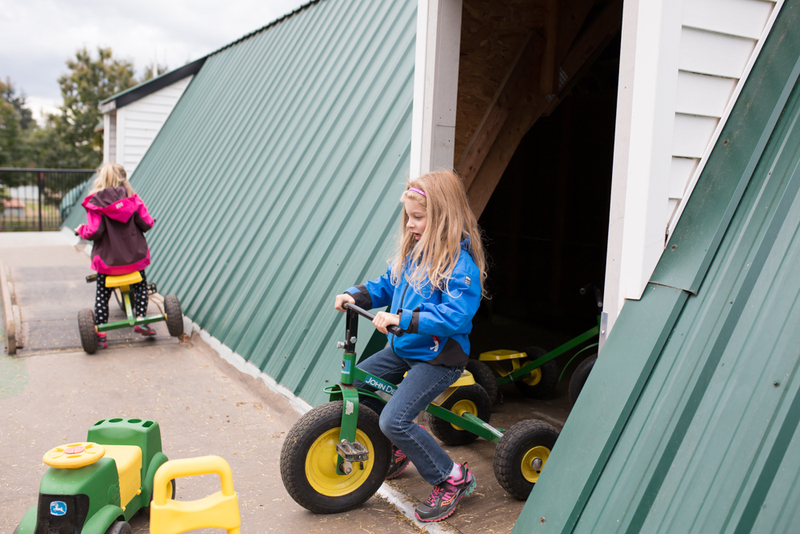 They have amazing staff, they are local and there is a ton to do. It isn’t hard to spend at least 4 hours or more while you are there! 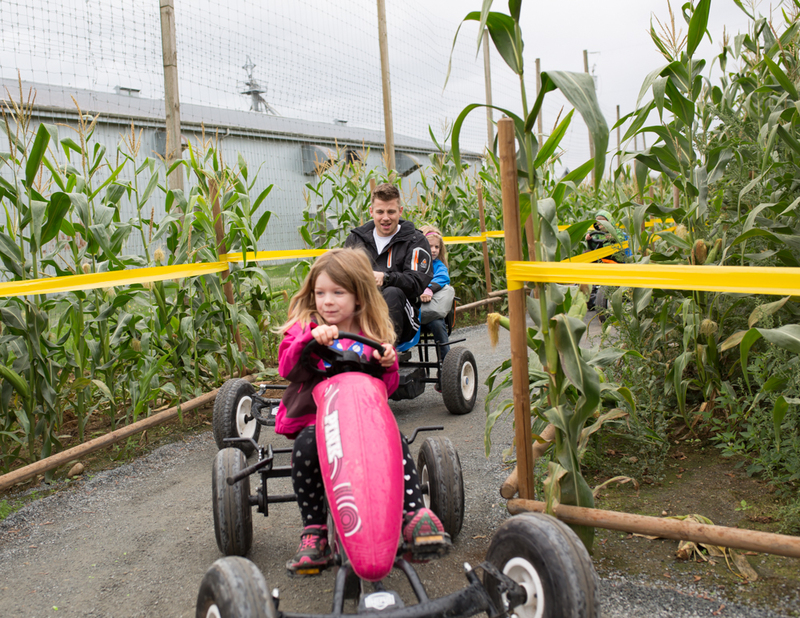 We absolutely LOVED the petal cars and think it is such a great addition to the farm this year. Starting off we usually check our the petting farm first. 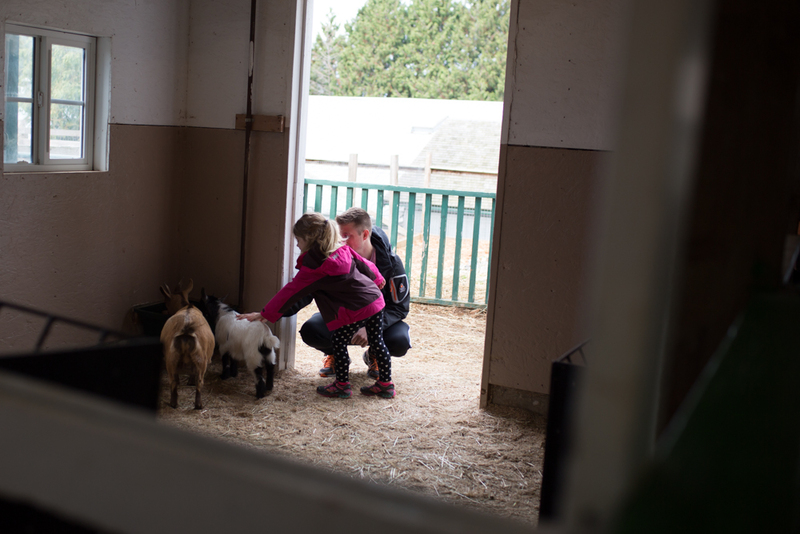 Our kiddos aren’t big fans of animals due to an attack years ago but when we are at Taves they are brave enough to get in with the bunnies and one of our daughter’s even got up the courage to pet a baby goat! Oh, those baby goats, they melt my heart! 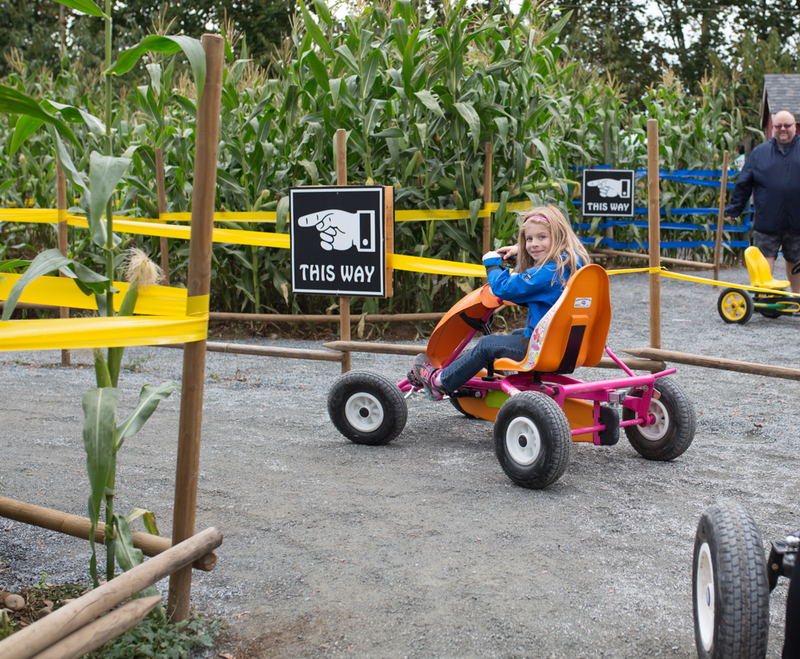 From there we head upstairs where the kids have a blast on the zipline, the bikes and the awesome slides! After the kids have had their fill with this we then just wonder the farm and take in whatever we feel up to at that moment. It was raining off and on when we were there this time around so the pumpkin jumping pillows were not taken in by most of us. My oldest and my husband had a few good jumps but the other two were sitting on the bench crying of slipping and sliding at there attempt to jump. 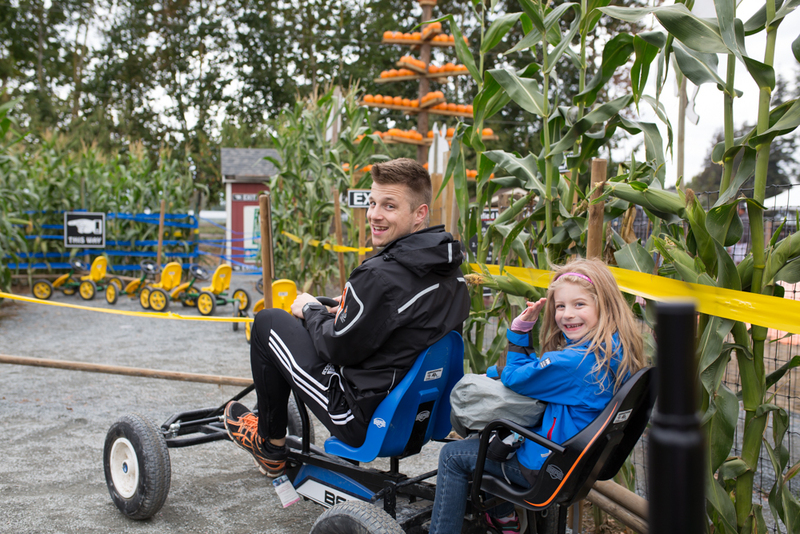 If you are looking for the perfect pumpkin hop on the hay ride to the pumpkin patch where there are many photo opportunities and a field full of pumpkins waiting to be taken home. 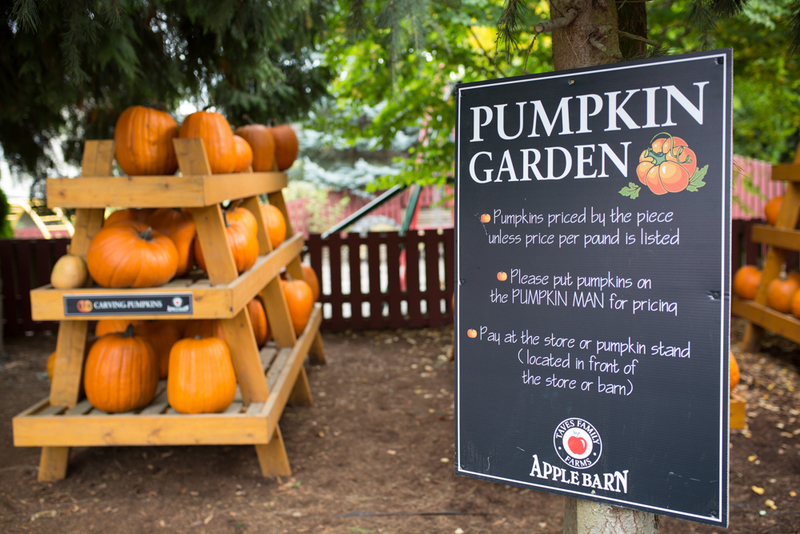 And if you don’t find your pumpkin in the field check out all the pumpkins they have at the pumpkin garden. 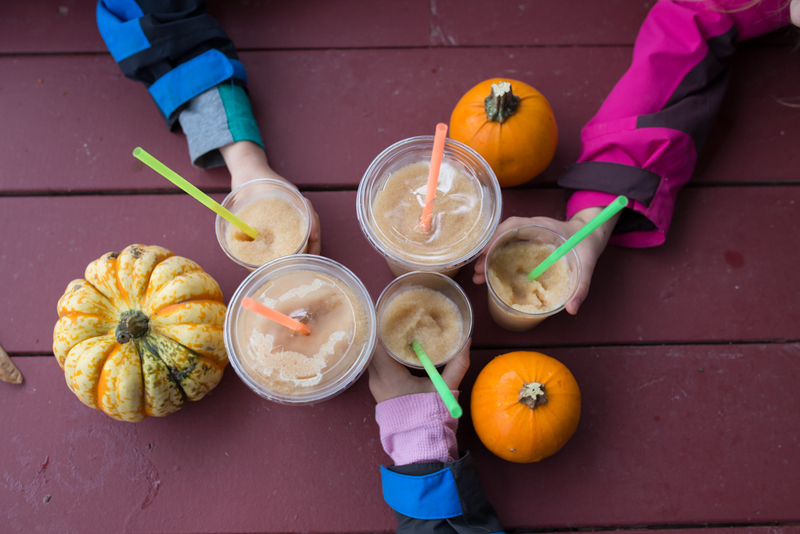 Our last stop is always the market where we treat ourselves to some apple cider slushies. We head outside after and sit, relax for a bit while the kids go back and forth from their slushies to the playground. We had such a fabulous time! We all left tired and happy. Our littlest guy ended up falling asleep just a few minutes down the road on our way home which is always a great sign of a well adventured day! 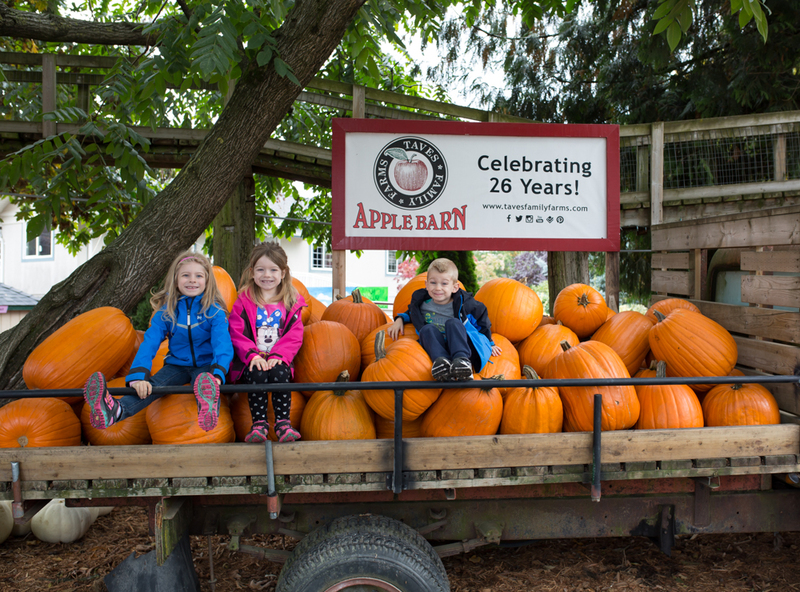 Our family wants to thank all the staff and owners of The Apple Barn for hosting us and giving us a perfect day full of great memories! Looking forward to coming back before the 31st to enjoy the canon, some roasted corn and maybe a pony ride or two for the kiddos!